Algiers, April 1, 2018 (SPS) - The sixth International Conference on Peoples' Right to Resistance: The Case of Sahrawi People is being held in solidarity with the Sahrawi people in their struggle for freedom and independence, said Friday in Algiers the chairman of the Algerian National Committee of Solidarity with Sahrawi People (CNASPS), Said Ayachi. "The conference is an opportunity to reaffirm that there are no other alternative to a referendum on self-determination for the resolution of Western Sahara conflict," he stressed in his opening address. Ayachi added that the two-day meeting "is an opportunity to recall that the conflict of Western Sahara is clear and that the international community is unanimous about the need to hold a referendum on self-determination." In this regard, he stressed the need to "urge the United Nations to assume its responsibilities in hastening a referendum on self-determination in Sahrawi territories." Ayachi denounced "Morocco's continued violations of human rights in the occupied Western Sahara and the plundering of its natural resources." He also denounced France's complicity with Morocco and its support to its positions and human rights violations. 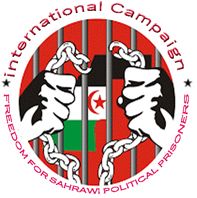 The chairman of the CNASPS hailed African Union's "clear, unwavering and courageous position" in favour of the holding of a referendum on self-determination in Western Sahara, as well as the impartiality of the judges of the Court of Justice of the European Union, who reaffirmed the full sovereignty of Sahrawi people over their natural resources. In this respect, Ayachi called on the EU to ensure the enforcement of its decision in accordance with the international law and the democratic principles, in order to enable the Sahrawi Arab Democratic Republic to recover its sovereignty over all its territories.